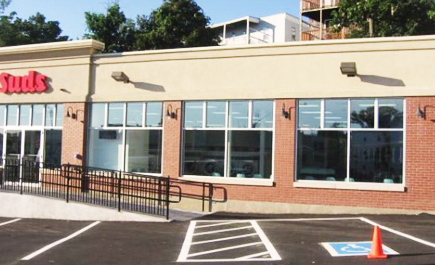 Stop by Suds Laundromat in Mattapan, MA, and get your laundry done quickly and at an affordable price! We are a self-service ficility. All of our equipment is made of high quality stainless steel. We offer 24-hour surveillance for your protection and our experienced on-site attendants are more than happy to assist you. 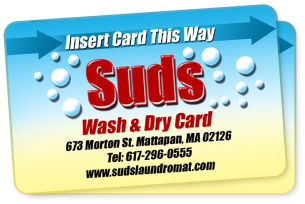 Open Daily: 7:00 A.M. to 11:00 P.M.
SAVE w/ the Suds Wash & Dry Card Coupon! 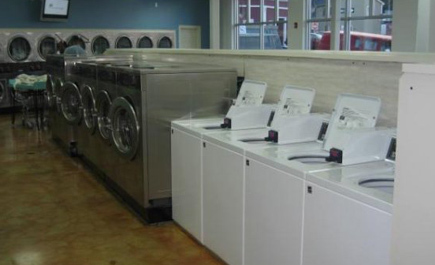 LAST WASH IN BY 9:30 P.M.
Suds Laundromat in Mattapan, MA is a full service laudromat specializing in self-serve laundry service as well as same day drop-off and pick up. 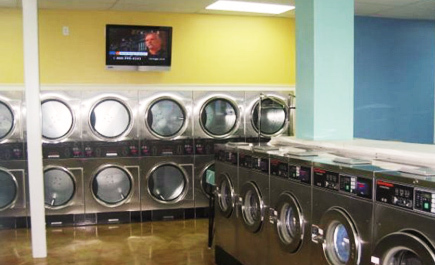 We strive to provide the quickest and most professional laundry services. 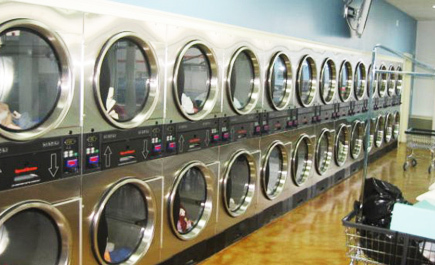 © Suds Laundromat 2012, All rights reserved.